A Star Wars Yoda design fleece robe for Children. 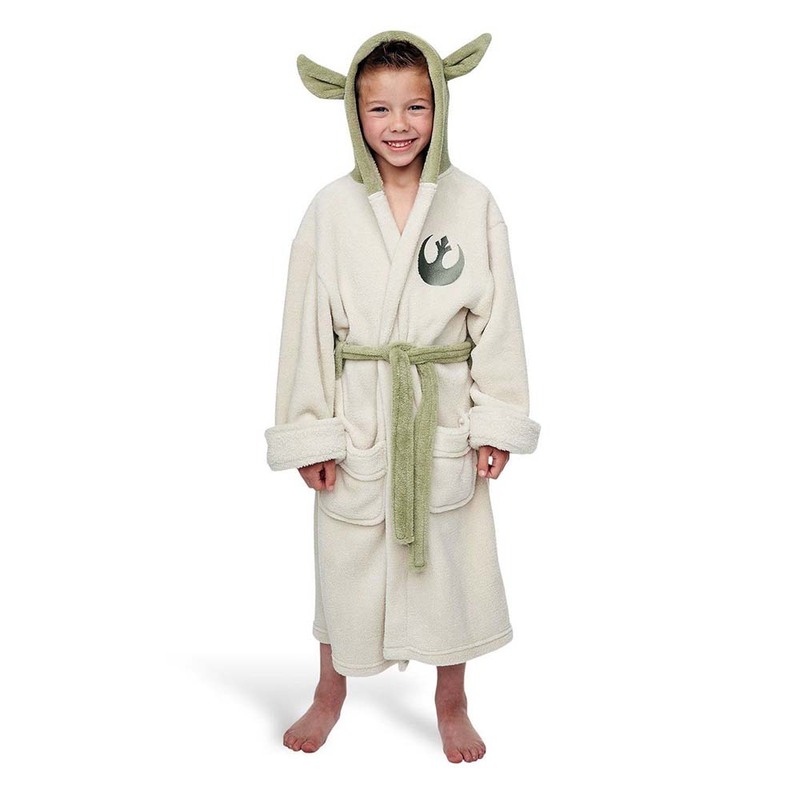 This awesome, official licensed product is a Star Wars Yoda fleece cream robe for children. This is perfect for any sci-fi fan and the cream dressing gown comes complete with a green hood complete with Yoda ears and an embroidered Jedi logo and belt. The dressing gown is made of to a very high quality and contains 2 front pockets as well as a belt.